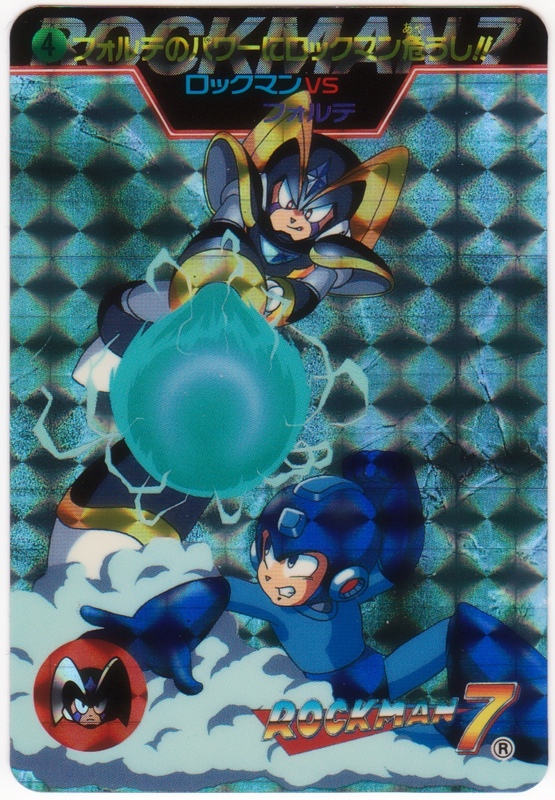 Yesterday we focused on his friends, and today on the countdown Rockman’s rivals will have their turn in the spotlight! 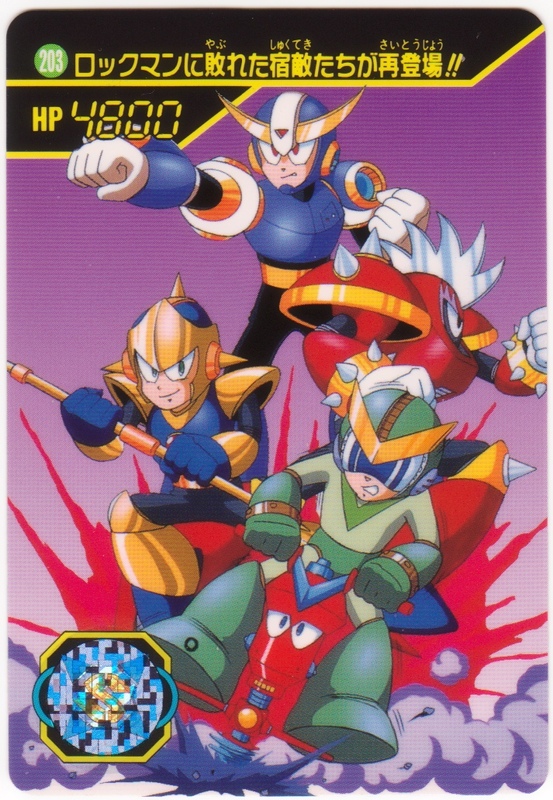 A set of Rockman’s deadliest challengers, the three Rockman Killers Enker, Punk and Ballade along with the evil Rockman from the future Quint were introduced in the Rockman World titles. This fearsome foursome returned for a rematch towards the end of Rockman World 5. Three of them would also return as extra stage bosses in Rockman 10 while the fourth became the central focus in the unique stand-alone Rockman & Forte game for the Wonderswan. 203. Defeated by Rockman in the past, his old enemies make a comeback!! Following these four Dr. Wily developed Rockman’s greatest rival to date. Built from close study of Rockman’s blueprints and utilizing the energy element known as Fortenium, Forte has his very own variable weapon copy system and even comes equipped with a trusty canine sidekick. 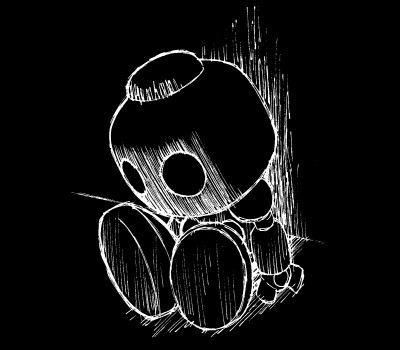 The Anti-Rockman was born! 4. Watch out for Forte’s power, Rockman!! Many times Forte’s strong will and his determination to prove himself the most powerful has put him at odds with his creator Dr. Wily’s plans, landing him on the same side as his sworn rival. Some of his fellow robots believe that deep down Forte has a sense of right and wrong, even though his pride usually comes first. Are he and Rockman destined to duel to the death, or will Forte one day embrace his inner justice and become a hero all his own? His fans will continue to watch his story unfold in the years to come! Meanwhile, our birthday countdown continues tomorrow! 5 Comments to "Carddas Countdown Celebration: 8, 7…"
Question: the English version of Power Fighters establishes the “Bassnium” name; is “Fortenium” also canon in the Japanese version? Perfect, thanks. 🙂 It’s always good to know that you’re standing on solid ground when the time comes to argue on something!